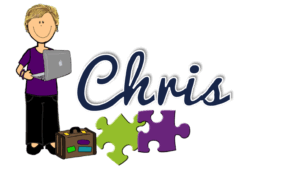 I have spent a good bit of time on this blog talking about autism classroom setup and organizing special education environments as well as the use of visual supports. 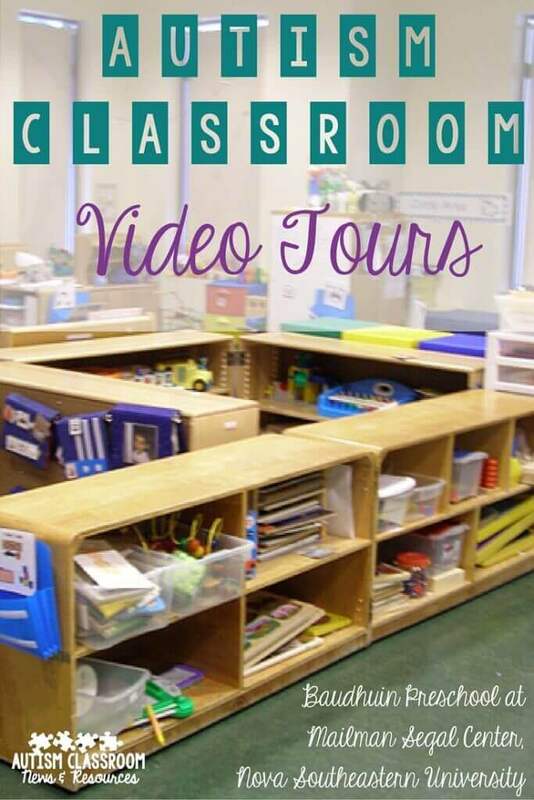 After Sue Kabot and I wrote our book on Setting Up Classroom Spaces, we started thinking about how we could use video to really show all the different components of the classroom and why we think they are important. I have shared some of them on Facebook but I never know who gets to see them there and I don’t have a lot of opportunity to explain and give them context, so I thought I would share them here. The videos come from the Baudhuin Preschool at the Mailman Segal Center for Human Development. The program is on the campus of Nova Southeastern University. Nova is a private, not-for-profit university. I worked at the Mailman Center for almost 15 years and Sue is the Executive Director of the Autism Institute there. The preschool is part of the institute but it is a little unusual in that it is a private program that is run under a collaborative contract with Broward County Schools, our local school district. The program is funded through that contract and is required to follow the same requirements as a public school program. Baudhuin is a special place to work because it’s a large school dedicated to educating preschoolers with autism and you are surrounded by professionals who all understand autism. There are a variety of other programs for individuals with autism as part of the institute now as well and you can learn more about it here. I was the Director of Academics for the center when I worked there and I still teach ABA courses online through them. When you watch the videos you may feel like they have so many resources that are not available to you. Those are resources that are accumulated over years. The furniture is pretty but much of it has been there for years. The building is gorgeous and the school has been housed there since 2005. Over the years Sue and I and our colleagues have worked with school districts across the country setting up classrooms in public school settings that had almost nothing in them but a table. We have adapted the strategies you will see for classrooms across the age range as well as in well-to-do and financially struggling schools. In the future I will put together some videos from some of those classrooms to share with you so you can see how we might adapt the mechanisms to different situations. So, I wanted to give you a chance to see the different parts of these classrooms along with Sue’s guided tour explaining the different elements that are in the classroom and how they are used. Have questions or comments? I would love to hear them in the comments. If there are elements in the classrooms you would like to know how to locate, let me know. For instance, the data sheets can be found in our Taming the Data Monster book and a copy of the homenotes without the pictures can be found on their Facebook page. If you are looking for them with the pictures, I have similar sets for different ages in my store. I hope you have enjoyed these! I am so glad that the center posted them on their Facebook page so I could share them with you. Again, if you have questions about where to find things or anything covered, please share and I’m happy to help. I was extremely fortunate to be part of this school and to continue to work with Sue. Hello! I love these videos!! One thing I struggle with is what to have my assistants do at the end of the day (they usually can’t wait to leave and I get stuck setting up for the next day :/) – do you know what kinds of things were listed on the changeable to-do sheet from the end of video #2? That would be SOOOO helpful!! Hi Kelly, you could put set up the schedule, make new / missing visuals or things like that. You also might want to put duties like setting up the schedules, setting up table tasks for the morning and things like that on a zoning plan that outlines what the staff should do before their time is up. The question is really whether they have work time after the student leave; if not think about whether you can free one of them up during the end of the day (like during a music and movement time) to reset things before it’s time for them to leave. I hope that help! Thank you so much for sharing these! Next year half of my pm class is going to be ASD and the other half is ECDD. Most of my kiddos are nonverbal and as the Moderately CI teacher told me today “a very impaired group”. I am trying to figure out how to accommodate all of them with just my aid and myself as the only adults for these 12 little ones because this year has been super crazy and has been really challenging. All of them need a lot of help and I am not able to give it to them because of the limited number of adults. This helped give me some great ideas that I can prep for next year that may make things run a little smoother. Thanks again for sharing! Great Kate! Thanks; I’m so glad these videos were helpful. You may want to search my site for zoning plans too for some examples and ideas for making staff work as efficiently as possible. Good luck with your new class and let me know if there is anything I can do to help. I’m new to structured teaching and this was so clear and relevant! Hi! The video are not available anymore– any way that I could still view them? Thanks! Emily they are still showing up for me and I just had someone else check them. I’m not sure why they wouldn’t show up for you. I’m sorry I can’t be more help.